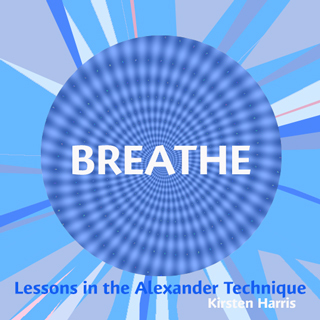 These spoken lessons in the Alexander Technique are designed to help you to develop awareness of your breathing in order to encourage you to release into length and width and experience the well-being that comes from freeing the natural tides of your breath. Track one: to be listened to lying down in the semi-supine position. Track two: ideas and directions to help you to achieve increased awareness of the balances of the body and the mechanics of your breath both sitting and standing.